Page Sand Devils cross country team is off to the state Championship this weekend in Phoenix at Cave Creek Country Club. Both the boy’s and girls cross country teams have improved greatly said Coach Martin. 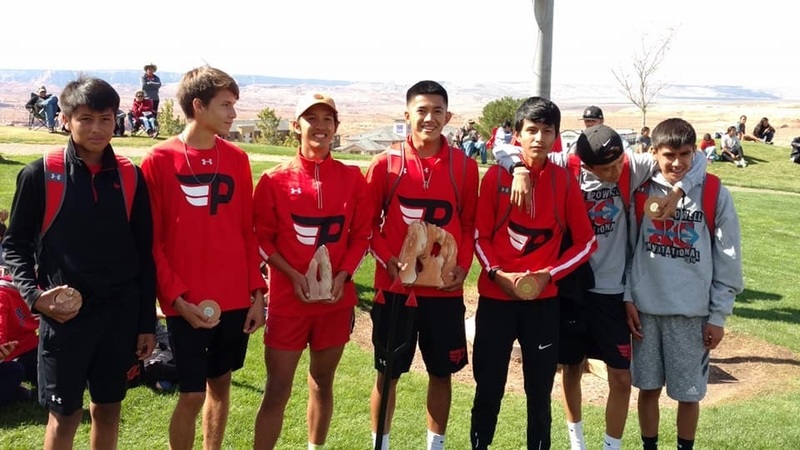 Sand Devils varsity boys are seeking their fifth straight state title this weekend. Bowen Martin, Morgan Fowler and Kaipo Uejo are the three seniors on the boy’s cross country team each one of them have set some personal best this season in their senior campaign. Joining Martin and Fowler at the State Championship this week in the boys are Lance Harris,, Skyler Sandoval, Trent Holiday, Colton Yazzie. and Rex Martin. Sand Devils varsity girls cross country team will be joining the boys in Phoenix this weekend. The girls cross country team is led by three seniors headed into the state championship this weekend Sofia Bryan, Kodi Tate and Mikala Benally. All three seniors have set record of some kind this season for the Sand Devils. Bryan a senior for the Sand Devils will be looking to beat last year’s time in the 5,000 meters Bryan finished 20th with a time of 20:41.0 in 2017. Joining Bryan, Tate and Benally at this weekend’s championship is , Nahaniya Fowler, Miquedah Taliman, Jaddah Whitehair, Ashlynn Adiaki, and Nadya Begay. Good Luck to all Sand devils this weekend as you compete in the State Championship.